You will be given a reference e-book to read which has 369 pages And the test will be based on that e-book , you can take final test within 1 year of purchase. Finance planning refers to the process of setting financial goals and objectives, assessing the present resources and assets of an organization, drawing plans that allow your business to achieve its monetary goals and estimating its future financial needs. The process involves the establishment of a financial plan which contains a set of goals and steps that the people within an organization needs to undertake to accomplish their ultimate financial goals. The financial plan that an expert finance planning certification holder can create can also be expected to contain a set of financial circumstances including retirement preparedness and debt elimination. The finance planning process also uses a number of essential elements in order for it to produce the most desirable results and these elements include asset allocation, tax, estate planning, retirement, risk management and investment. If you strongly desire to finish a finance planning course, then you should keep in mind that working as an expert in this field requires skills in establishing a good budget which is capable of effectively organizing the finances of an individual or an organization. The entire process also involves a set of goals and steps that are needed in saving and spending future income. The finance planning process is also extremely useful when it comes to properly allocating future income into different kinds of expenses including utilities and rent while also reserving some of this income for both short and long-term savings. Finance planning can also help individuals and organizations in their attempt to set priorities while also working steadily towards reaching their long-term financial goals. Any subject or course related to finance is a bit complex considering the fact that it involves money. Because of this, you need to enroll in a finance planning certification program which is guaranteed to cover all the complex aspects linked to financial planning so you will never find it difficult to handle your responsibilities in this field. Brainmeasures can offer you this since the majority of its programs are created with the help of its experts. You have a guarantee that the finance planning certification program which you can access in Brainmeasures is capable of offering you the kind of knowledge that you are hoping to achieve while also instilling in you the kind of skills needed for an effective finance planning expert. You will become more familiar about the concepts and principles behind finance and planning after you participate in this comprehensive and reliable program from Brainmeasures. A major highlight of this program is the finance planning exam which serves as an evaluation of the things that you have learned from the course. 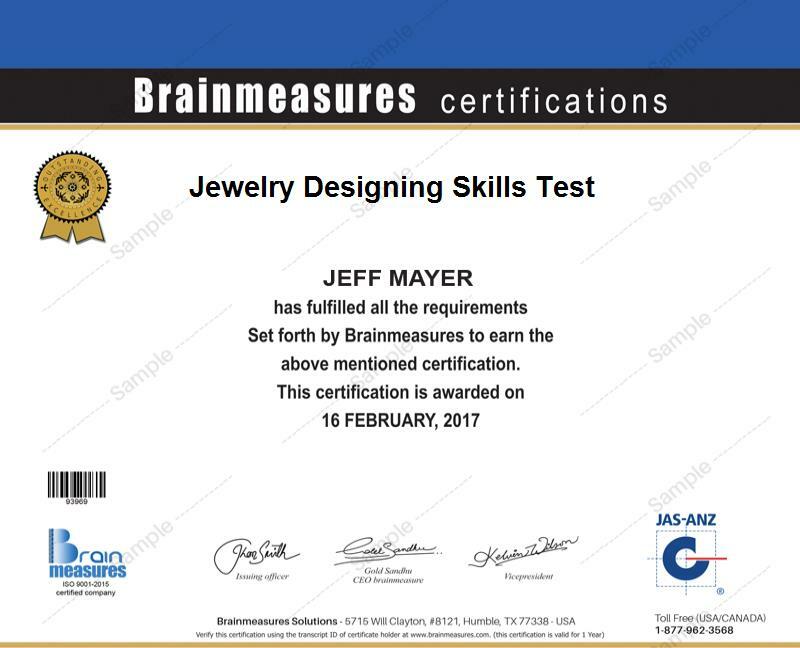 Brainmeasures will require you to take this exam in the end and get a passing percentage so you can also receive your certificate. The finance planning certification program from Brainmeasures is capable of providing numerous advantages to different types of individuals and professionals in the finance industry. These include CPAs, stockbrokers, bankers, insurance agents, credit union representatives, corporate lawyers, wealth managers, trust officers and anyone who wishes to understand the needs, resources and capabilities of clients in his attempt to provide the best service especially in the financial field. In terms of salary, finance planning certification holders can expect to enjoy a more stable one. The average annual salary for finance planning professionals is said to be around $81,000.